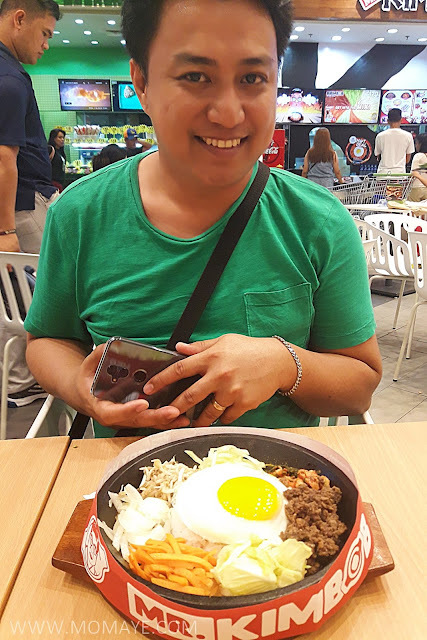 Last May 1st, I celebrated my 37th blessed year. Yes, late post again. Sabi sa inyo super busy lang e, hehe. Anyway, I just want to share how I celebrate my 37th birthday. If you are a regular reader, you will know the way we celebrate birthdays, anniversaries, holidays and other occasions. Simple lang lagi and we make sure we spend time with our family. This year, Daddy and I talked about giving in with our wants. It's been 10 years kasi that we are living frugally. It's time naman to reward ourselves since we are working so hard. I-justify ba? Hehe. 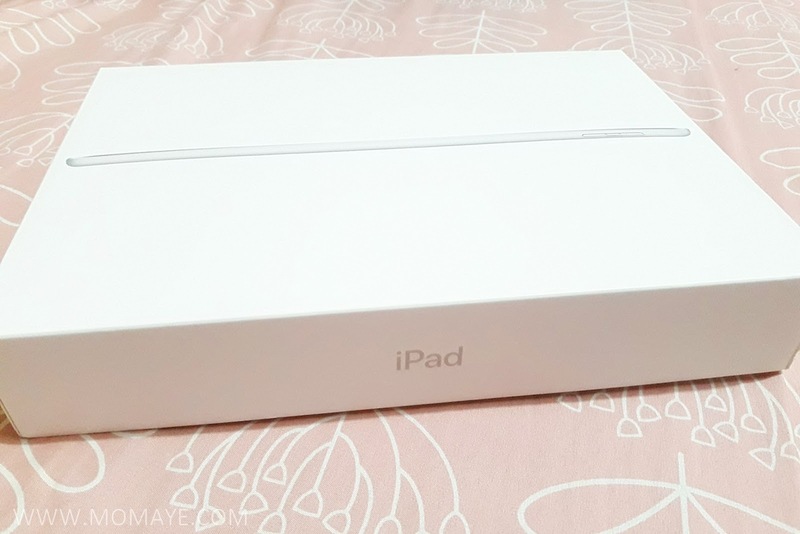 Birthday ko naman so talagang nag-isip ako ng birthday gift sa sarili ko. Haha! However, our first attempt to buy a gift iba naman nabili namin. 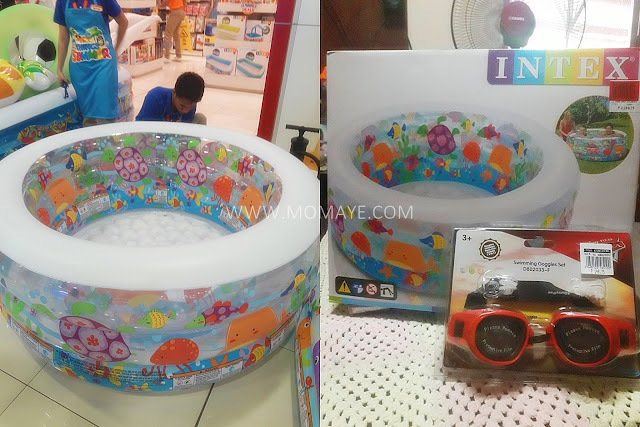 Ayan, inflatable pool for our little boy. It's on sale. From its original price of almost 3,000, we got it only for 1,500 pesos. 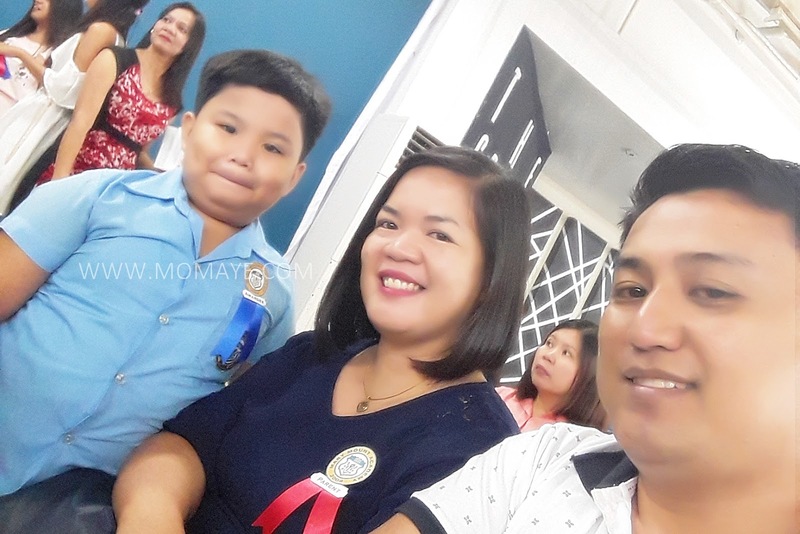 Walang wala sa ligayang nakita namin sa mukha ng bulilit na ito. Priceless! Meanwhile, I finally bought this iPad. Finally, after 10 years ng pag-iisip, I give in. Hehe! Here's my birthday gift to myself. 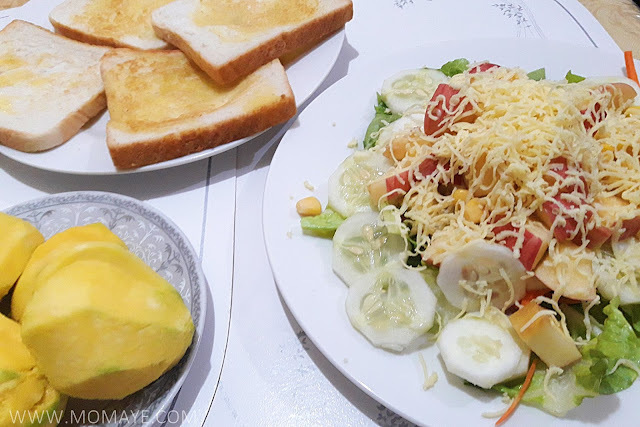 Katas yan ng blogging mga besh! Really thankful for countless blessings that we are receiving. 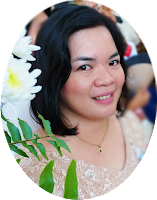 Aside from our regular work, our blogs are able to add income to our family. 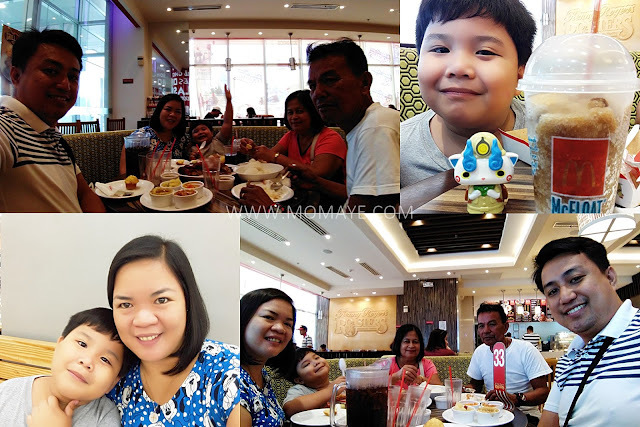 Then since my birthday fell on weekdays, Daddy and I went home to have a pre-birthday celebration with our little boy and my in-laws. Oh back to my birthday na lang. 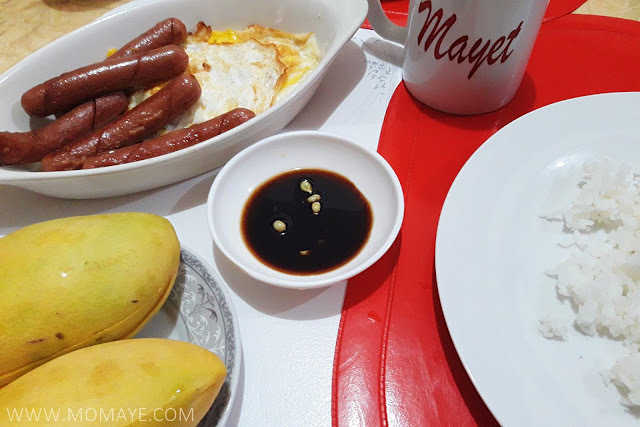 Since we it's a week day but a holiday, we had breakfast at home. Just the two of us lang. Here's my birthday breakfast. 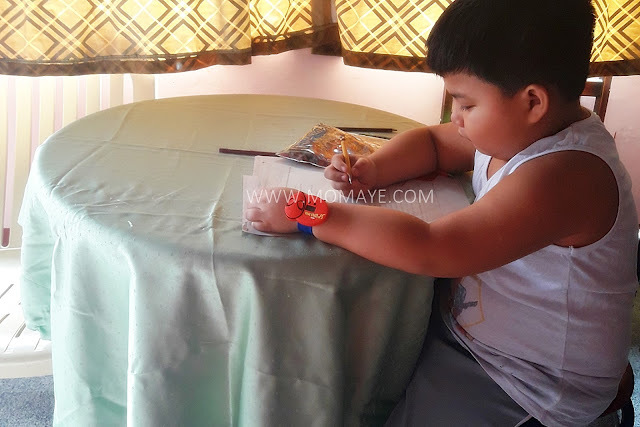 We will just spend the whole day at home to have some rest na lang sana but Daddy told me we'll go to the mall because he still has no gift for me. 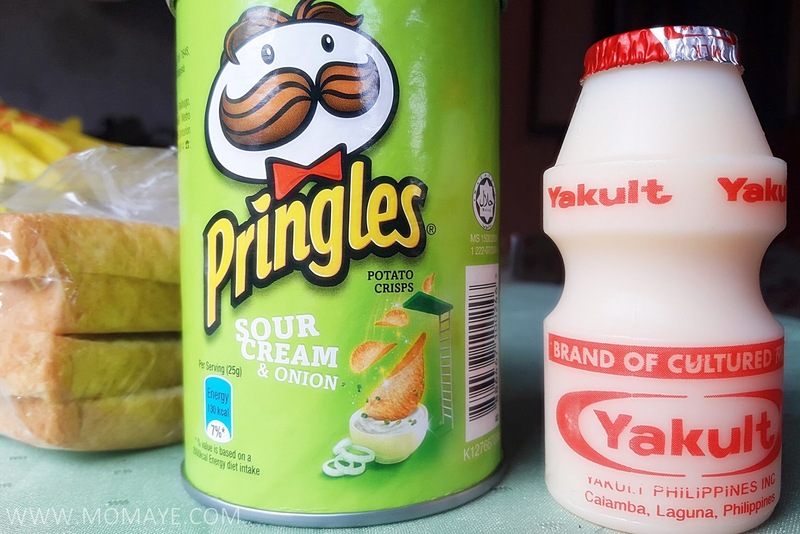 By the way, here's my birthday baon. We walked around the mall, but I can't find a gift except for the bag I already saw more than two weeks ago yata that time. I find it expensive already that's why I was holding back. Kuripot mode on namana kasi after I bought the iPad, haha. 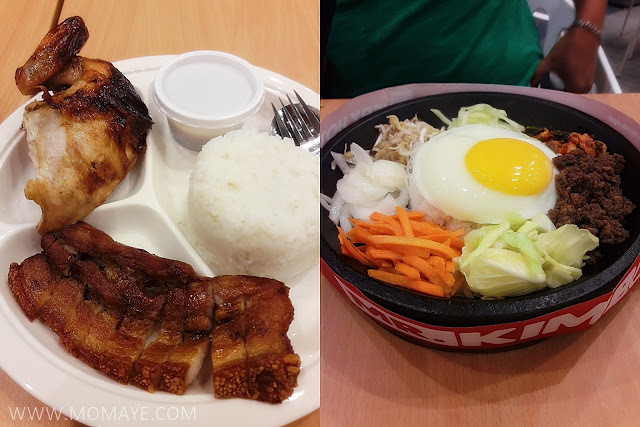 We had our lunch muna to think about it. Here's our lunch. Here's my birthday date pala. Daddy said we should buy it and I told him, yes if I still like it if I will see it again. And I still like it! I really love it and I will tell you why in a separate post na ha. Here's Daddy's birthday gift to me - Travelon Anti-Theft Signature Flap Compartment Cross Body Bag. Hay, if I will count how my we spend already in a week, nakakatrauma. I told Daddy, kuripot mode na ulit kami. Hehe. Seriously, when I watched this video a realized that life is too short. I must enjoy life and the money that we are earning while we can still do it. Watch it too. Ano mga besh? Tagos hindi ba? Live simply but don't forget to enjoy life. And to end my day, here's my dinner. I am so grateful for everything that I have now. I am thankful to God for giving me a family, a loving husband and a wonderful son. Bonus na that I am a good career now. All I can ask is good health for my family, my friends and everyone around me. 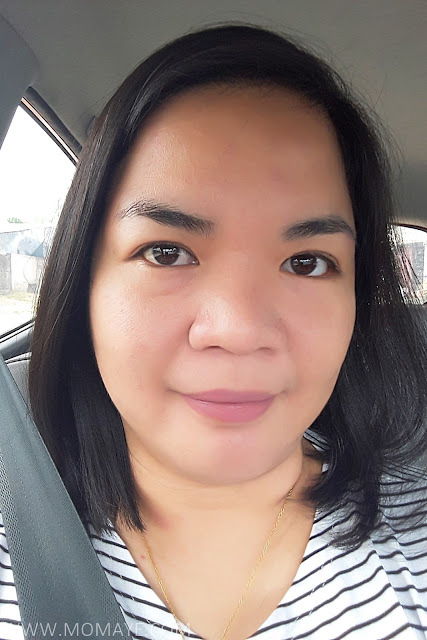 It's indeed my blessed 37th year! As a mom, I am very concern with my son nutrition. 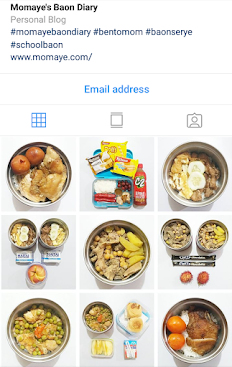 That is the reason why I personally prepare his school baon even if I am a busy working mom. That's how big and cute my little boy is now. A consistent honor student and achiever as such a young age. Partida pa sa kakulitan yan. 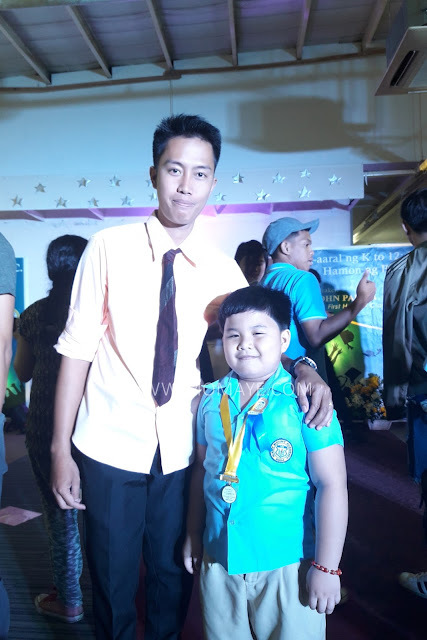 (Read: Matthew Andrei's Recognition Day 2018). So giving him the right nutrition is very important to me. That includes choosing the right milk that help him with digestion because better digestion is important in breaking down food into nutrients that will be used by the body for energy, growth and cell repair. 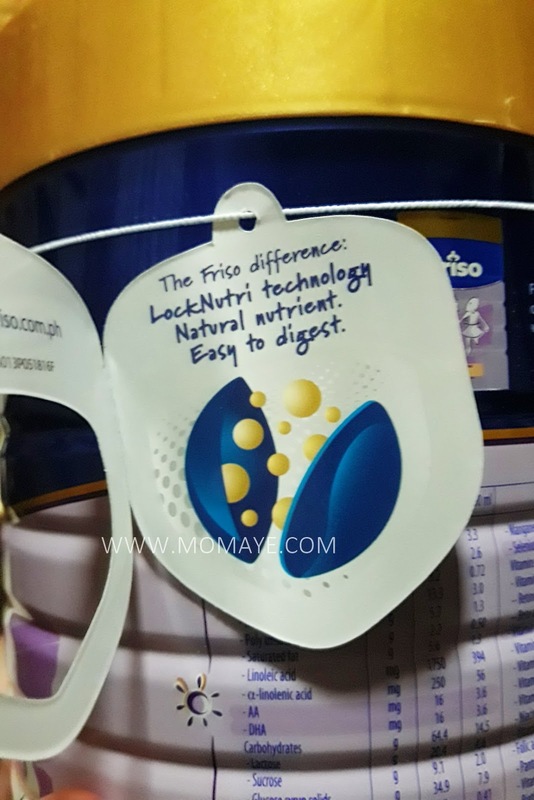 So happy that Nuffnang send me this to try. 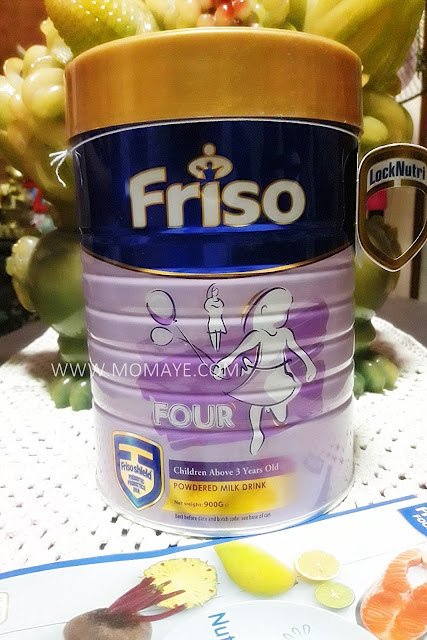 Friso Four is packed with complete nutrients our kids need. 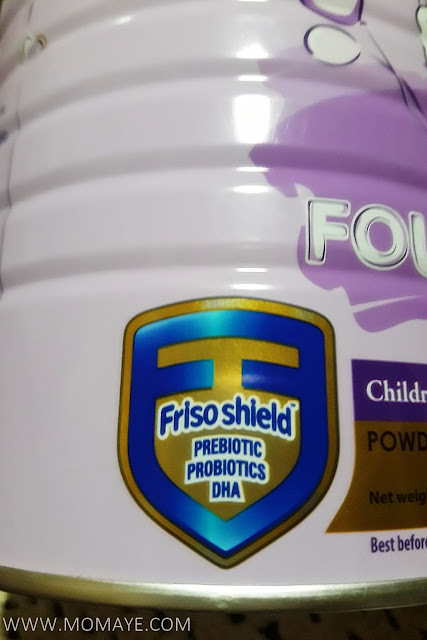 And not only that, it has Prebiotic, Probiotic and DHA. We all know naman how helpful are these with our kids growth, digestion and mental development right? Friso Four help my son to become a strong kid, inside and out. If you’re thinking of starting a small garden, investing in the right equipment is paramount. However, buying yard tools can get quite expensive, especially if you plan to buy everything at once. Some garden tools are simply a must-have since they facilitate effective gardening and allow you to spruce up your yard. There’s no need to break your budget just to buy essential yard equipment – there are an array of avenues you can use to get exquisite deals on yard supplies. Depending on where you purchase them, yard equipment can be extremely costly. However, there are a handful of stores that offer unique discounts on an assortment of items such as electronics and garden supplies. Better Day Store is an exquisite online shop where you can get terrific deals on various yard supplies. Here, you’ll get impressive discounts and exquisite deals that will certainly tickle your fancy. In addition, this store contains a variety of yard equipment from different manufacturers, offering you plenty to choose from. If you’re on a budget, consider purchasing your yard supplies from any yard sales taking place around your region. Such sales are also perfect for overly frugal individuals who prefer getting more bang for their bucks. A simple technique you can utilize to track down yard sales happening in your area is by inspecting the newspaper classifieds. Try searching for any ads talking about yard equipment, tools or supplies. Economies of scale dictate that shoppers who buy products in bulk often enjoy a discounted price-per-item compared to those who purchase single items. If you’re a retailer who desires to buy yard supplies at a discounted rate, buying in bulk is certainly a splendid idea. However, avoid buying your supplies in expensive stores or supermarkets. Chances are, you can buy similar yard supplies at a discounted price somewhere else. Before settling on any particular yard store and making your purchases, look around for better deals. The internet contains a vast wealth of resources that you can exploit to your advantage. Conduct a thorough online research and find out which stores sell yard supplies. Next, single out those shops that sell their products affordably and look for eye-catching bargains. If you’re old-fashioned, inquire whether your friends or family members have yard equipment they’re willing to dispose. Be creative in your search. Don’t rush into accepting flashy deals. Rather, take time to inspect the yard equipment you’re about to buy. If a deal is too good, you’d rather think twice. Some salespeople have exquisite pitches and deft skills – they can easily trick you into buying lackluster supplies. Rather than falling into their trap, make it a habit to scrutinize every single item you buy from thrift shops and yard sales. Check for reliable money-back guarantees you can utilize in case the yard supplies you purchase have any sort of defect. 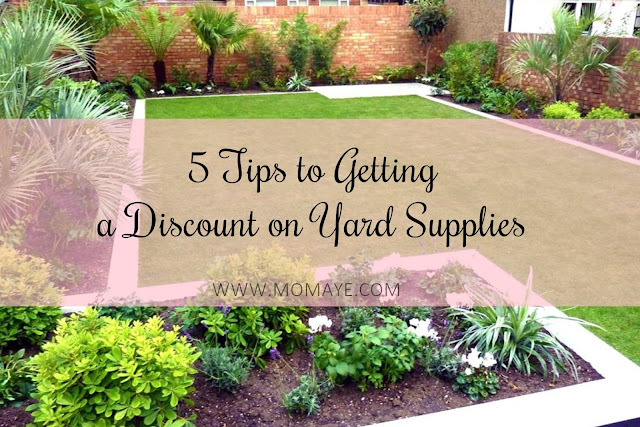 These are some simple yet effective tips to getting amazing discounts on your next yard supplies, so go ahead and try them out! There is no denying that you love your children. They bring you so much joy and are a true gift to your life. That being said, the responsibility of caring for a child and raising them to be upstanding adults can be stressful. 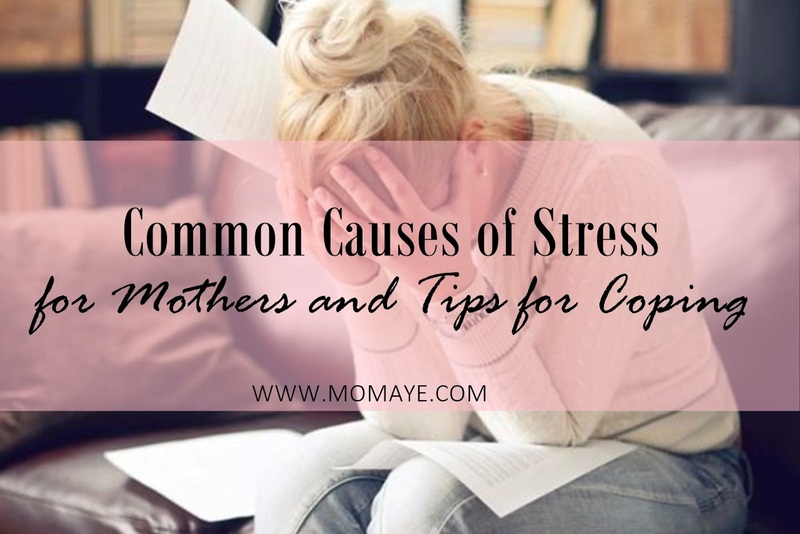 Though you may be very good at hiding it, too much stress can lead to a multitude of problems for you and your family. Finding constructive ways to cope is essentially the best thing you can do for all involved. Did you know that you could burn out from being a mom? Well, it’s actually true. Women who are constantly stressed about the responsibility of caring for their family or the well-being of their family end up burning out. A parental burnout as it is often referred is extreme feelings of stress and despair. Women who suffer from this have been known to drink excessively, feel depressed, resent their loved ones, have mood swings, and even experience physical consequences like body aches, fluctuations in weight, and more. If you believe you’ve burned out or are struggling with the responsibilities of parenting it is imperative to get help right away. For those who have begun abusing substances, look for help through places like Sandy’s Place, a Newport beach rehab for women. Otherwise, you can speak with a therapist or ask your family to help relieve some of the burdens you’re dealing with. How many moms out there wish they could add a few more hours to every day just so they can get everything done? When raising a family as well as caring for yourself (or at least trying to), there is a lot to be done. With seemingly not enough time in the day many women end up feeling like they have to sacrifice something. This might mean skipping out on quality time with the kids, not doing the laundry, not preparing nutritious meals, or even neglecting their need for quiet time. 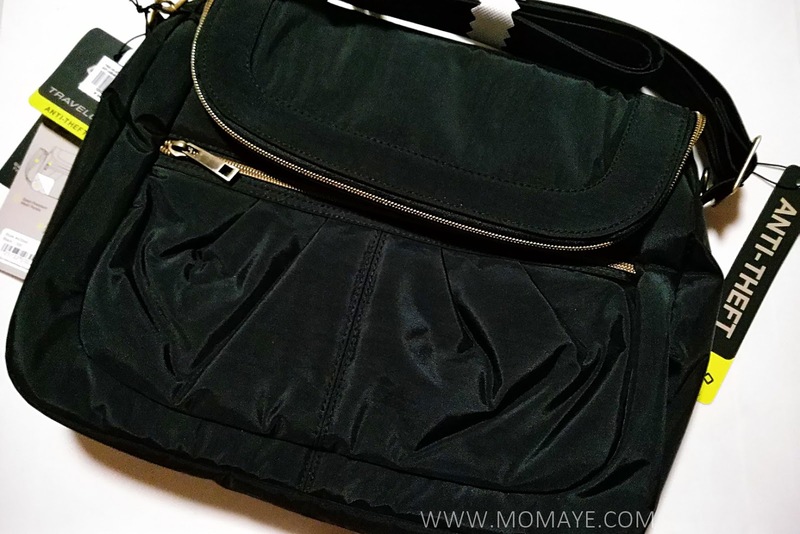 Sure, every mom has skipped or sacrificed these things on occasion, however, on an ongoing basis this does nothing but create more chaos and frustration. How to Cope: Use time management techniques like creating a household schedule. Also, talk with your spouse or significant other about helping out. Lastly, relax, unfortunately, everyone wishes they had more time, but you only have 24 hours in each day. If you don’t get it all done today, try again the next. Raising children this day and age isn’t cheap. From childcare services and afterschool programs to clothes, food, and extracurricular activities, there’s a lot to cover. Every mom wants their child to be able to have the best possible life and will sometimes stress when they’re unable to afford things their kids want and need. How to Cope: Creating a household budget can be very useful in helping you to keep your finances in order. If you have more expenses than income, you’ll need to reduce your spending and/or increase your income by earning extra money on the side. Other financial tips for parents might include looking for savings everywhere you can start saving for college right away, and create an emergency savings account for those unexpected events. Mothers have to invest a lot of time and energy into raising their children. So much so, that it can hinder their ability to balance personal relationships. Engaging with a significant other and spending time with friends ends up on the back burner. This can lead to resentment and social isolation. How to Cope: It’s true that your children will take up a lot of your time. However, it is also true that adults need relationships. Find time in your household schedule to spend with others. Hire a sitter for date nights or ask your family members to pitch in so you can hang out with friends. You can also consider mixing family time with social time by meeting friends at locations that are kid-friendly like the park. This way you get to socialize with others your age while your kids do the same. Last on the list of stressors for mothers is self-doubt. It is not uncommon for parents to feel as if they’re not doing the best for their children. Though there is no one-size-fits-all parenting style and mistakes are bound to be made as you raise your kids, moms often reevaluate, second-guess, and doubt their abilities at being a good parent. This can result in depression, stress, anxiety, and more. How to Cope: First, you must understand that no parent is perfect. If you feel that you’re using the best practices to make decisions in your child’s life, that should be enough. When issues are more difficult or your choice turns out to be the wrong one, look to others for support and guidance like your spouse, your parents, teachers, guidance counselors, and other parents in the community. Being a mom isn’t easy by any means. Though you see your children as a blessing, the role can be a lot to bear at times. If you’ve been feeling stressed about the scenarios above or other areas of your life, it is imperative to stay calm, look for effective solutions, and execute them accordingly. If you’re feeling burned out or overwhelmed, seeking support from others can get you back on the right path. Since it has started to become more popular, acrylic fluid art or acrylic pouring has been getting more and more attention, not just in the United States but all over the world. It's a great way to release your creative side as there are so many techniques that you can use in order to come up with something unique and different. 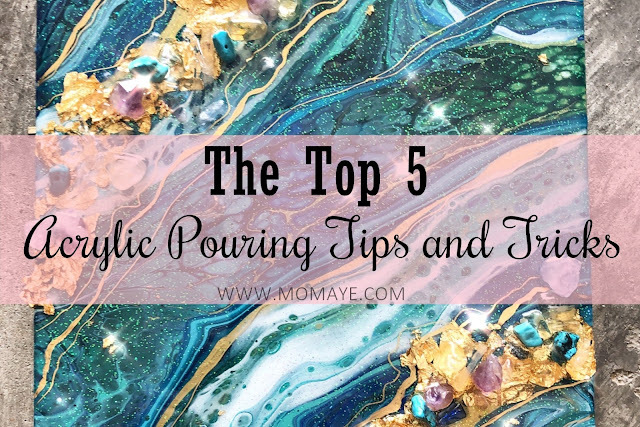 If you have never done acrylic pouring before, but you are very interested in doing it, check out the tips below to help you unleash your creative side. 1. You don't need to buy every color you see - there are people who get very excited when trying something new. Their tendency when they go to the store is to buy everything their eyes will see. You don't need to do this with acrylic pouring. When buying paints, you can actually just stick to the basic colors. From there, you can mix colors together to come up with unique variations. 2. Be ready with all the tools you will need - set aside a place where you can freely work on your acrylic pouring techniques. Some of the tools that you will need are a worktable covered by newspapers or foil, disposable gloves, some glasses or cups for mixing your paints, some disposable wipes for washing off paint and of course a large glass or cup for your mixed colors which you will pour onto the canvas. 3. Do your research on what types of pouring medium you will add - here's the thing that you need to know. The acrylic paint that you buy from the store will need to be thinned before you can actually pour it onto the canvas. It needs to be diluted by a pouring medium so that it can flow well and freely onto the canvas. While you can use water as a pouring medium, as some experts say that adding water can cause a structure change in the paint which will make it crack. Some pouring mediums you can use include Liquitex and the like. Make sure to research on the ratio you will use for your recipe. 4. Research on the basic techniques you will need to learn - before you become experimental with your acrylic painting techniques, it would be a good idea to master some of the basic pouring techniques. Some of the most popular ones include String, Swirl, Flip Cup and Dirty-Pour technique. There are more tipis that you can incorporate and you can view this page for more ideas on what you can do for your next acrylic pouring painting. 5. Embrace each result you produce - there are those who want to follow certain artists and want to copy their results. You need to understand that even if you follow everything you see on a video you watch, the end result may not be exactly the same. Don't worry about this. Even if you are not happy with the result, this is all part of the process as you learn to embrace the art of acrylic pouring. Hi everyone! How's your weekends? Had a very productive one with Daddy A. But oh, Monday na naman. Monday blues it is right? Anyway, would just like to share this moment in our little boy's life that makes us really proud as his parents. Medyo late post lang because of the busyness these past months, weeks, and days, haha. 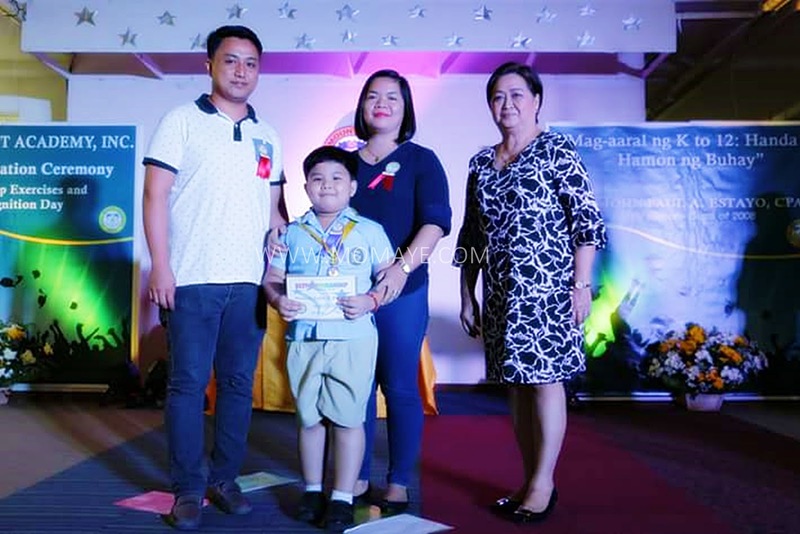 So ayun nga, our little makes us proud again. 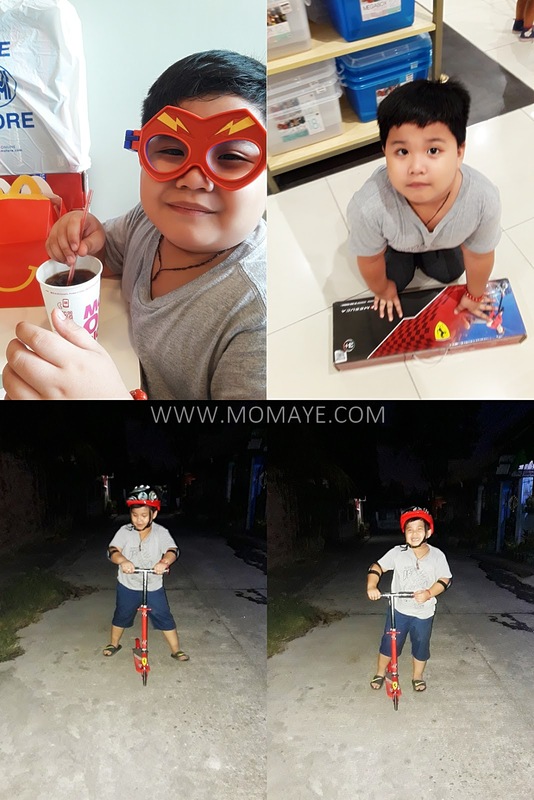 Despite of being hyper and talkative, our little boy is a hard worker. 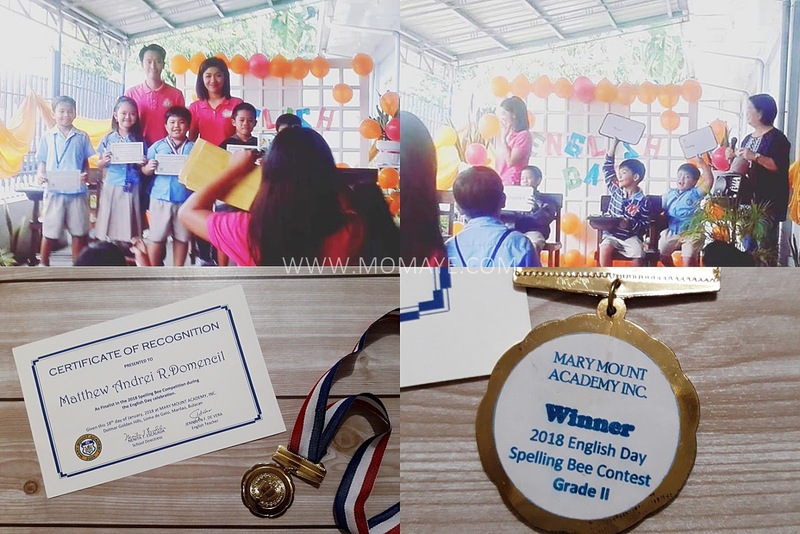 In fact, he also won in their school spelling contest during their English fair. And this year he was awarded with honors and best in penmanship. 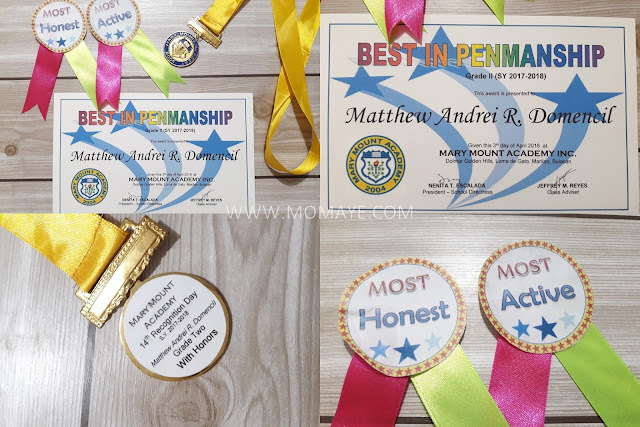 He also received two character awards, most active and most honest. His best in penmanship and most honest award are unexpected for us. Being best in penmanship really showed he worked hard in school because at his age, alam nyo naman not all can write well. 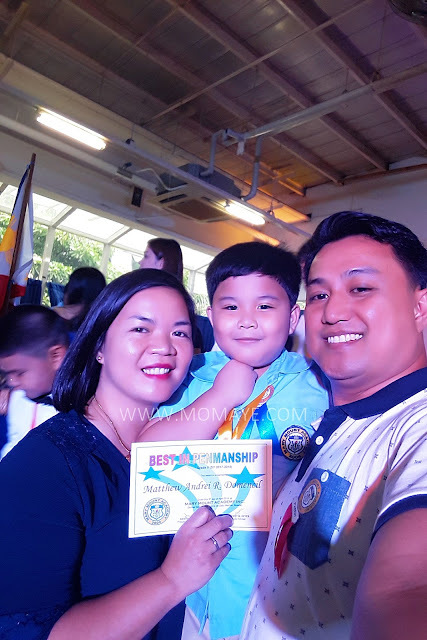 And of course, the most honest award meant a lot for a mom like me. It means I am raising an honest kid. On his recognition day, both of us attended and took a leave from work. 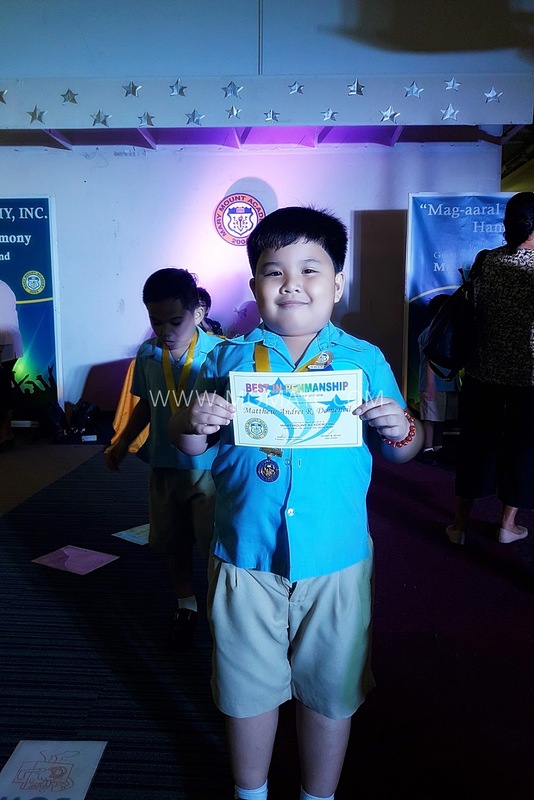 Recognition day is a harvest time for hard working kids and a rewarding time for parents. We parents look forward on this day when we can show the world how proud we are to have a smart kid. It's a job well done for our son and of course to his dear teacher/adviser. 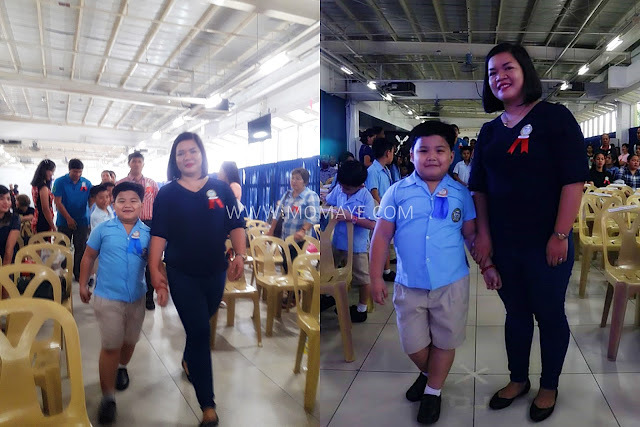 Again, we are proud of this little boy. But wait, I was again surprise to see his report card. 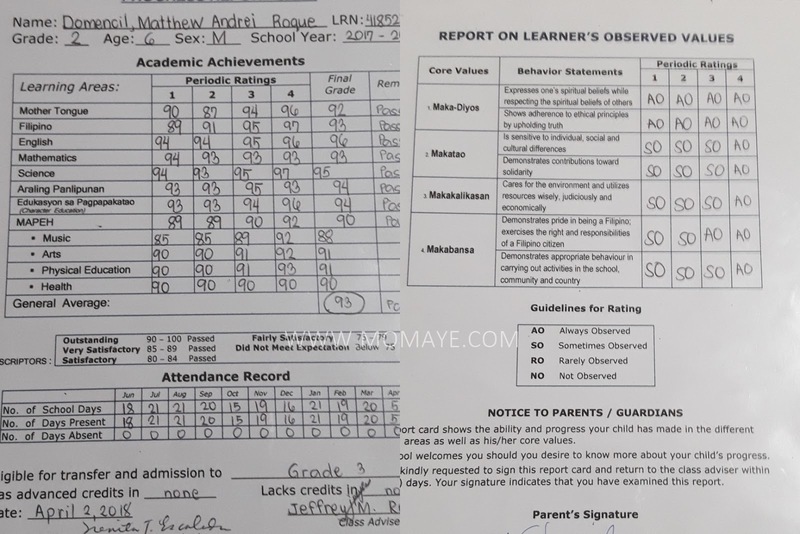 The report card is given na after the recognition and I don't expect he will have high grades on his fourth grading period. 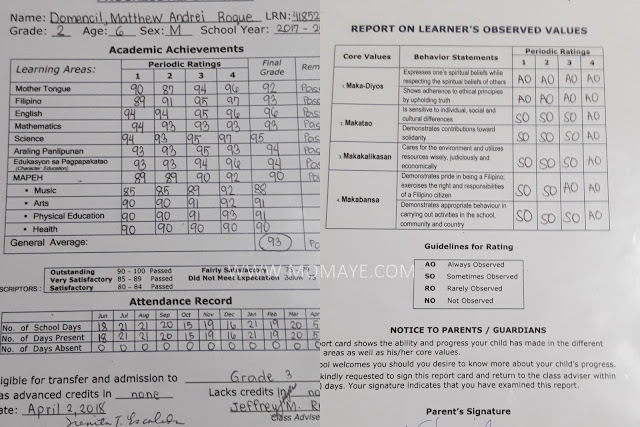 Hindi na kasi namin nakikita ang final exam results nila and he had low exam score in Math during his fourth mastery. But look he had a grade of 93 in Math pa and and his observe values are all always observed na. Truly, this little boy deserved all the rewards he wanted. 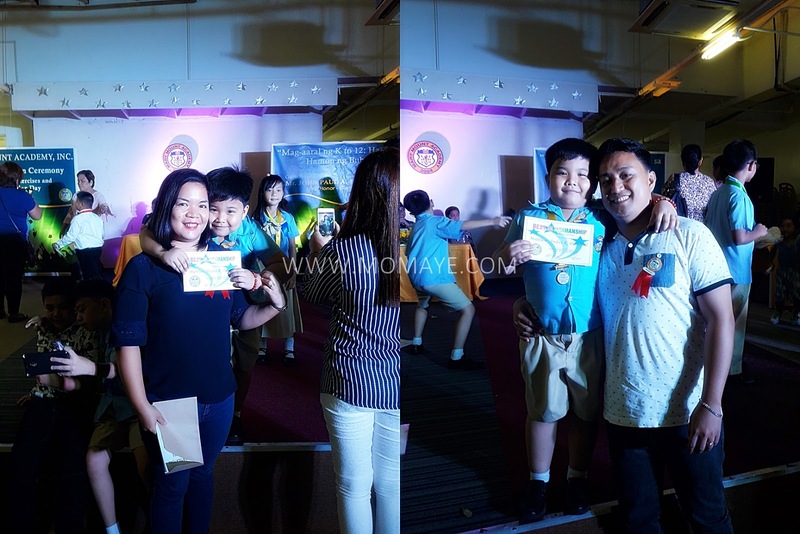 I am really proud not just for the award, honors or medals our little boy received. But for the hard work this little boy gave in all his school years. He never fail to make us proud in little or big ways. Like what I always say, we are here to give him all the love and support he will need in his journey to become the best man he can be. A great smelling room can greatly affect one’s brain and body. Whether it is a natural scent or not, a good smell can hugely affect the ambiance and mood of a room. This is the reason why air fresheners are widely popular wherever you go. Amygdala, which is a part of our brain that controls emotions, filters the molecules we inhale. This is why we need to be careful of the things we inhale because these molecules can affect our brains. Using artificial air fresheners can give our living spaces a good smell buy it also contains harmful chemicals that can cause damage to our bodies. These chemicals are known to cause hormonal imbalance and reproductive harm. On the other hand, using essential oils instead can affect our bodies in a positive way. As an alternative, making DIY air fresheners are becoming a trend today. Not only is it safe, you can also tweak it to however you want it. An air freshener can last longer using DIY techniques as well. 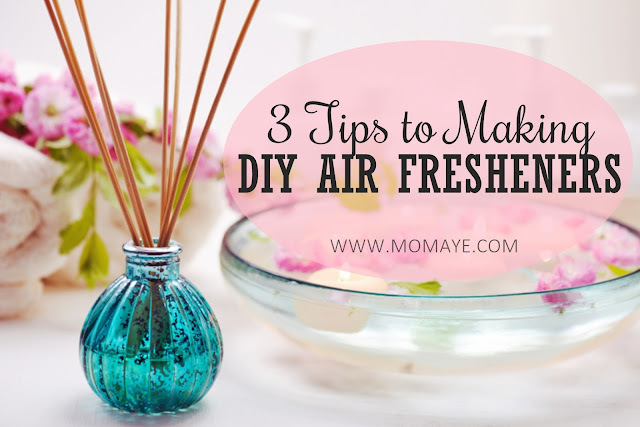 Here are three tips for making DIY air fresheners. 1. Make sure to have a balanced blend. When making an air freshener, it is important that you have a balanced blend of scent. Essential oils are volatile ingredients that is why they can easily evaporate faster. This is why essential oils are used as a base mixed with heavier ingredients so it can last longer. Artificial ain't fresheners are still known to have longer staying power but that does not mean homemade ones cannot compete. Homemade air fresheners use a combination of top, middle, and base note oils so that these fragrances can last longer. It makes your home smell wonderful making you feel comfortable and relaxed. It also gives actual physical benefits compared to synthetic fragrances. 2. Make an herbal potpourri. Another creative way to make a natural air freshener is by making an herbal potpourri. It's simple and easy and most.importantly, it is a natural botanical fragrance. It's also a great way to involve kids in making this as a fun project. All you need to make an herbal potpourri are herbs of your choice and essential oils. If you happen to have herbs like hibiscus flowers, orange peels, rose bids, cinnamon chips, and chamomile flowers, mix them all together in a large bowl or jar and put a few drops of your chosen mix of essential oils. Mix them all together until all the ingredients are fully mixed and incorporated. After that, you can place your jar in strategic places like your table in the living room or above your desk. You can also put them in airtight containers for future use. An herbal potpourri will instantly make your room smell nice like flowers in the garden. 3. Make a fragrant simmer pot. If you want to instantly make your kitchen smell wonderful, make a fragrant simmer pot of simmering select ingredients such as lemon, rosemary, orange peels, basil, or mint. You can also add more herbs and spices to your preferred mix to heighten the fragrance. You can leave your simmered pot or place it in a jar and let it sit in a room. It will give your space a wonderful aroma. Those are some tips for making a DIY air fresheners. I'll love to hear other tips from you too. We know that as a mom you are preoccupied with the kids. Whether you are changing their diapers, feeding them or driving them to school, your kids take up a lot of your time. While your children may be your priority, you should not neglect your health, either. Since you are busy and need to look after your health, what are the things you can do that do not take up a lot of your time but promote good health? For the best advice, be sure to check out https://www.mommyauthority.com/. One of the best ways to ensure you maintain good health is to stay active. Make sure that you are moving as much as possible, preferably outdoors. You can select an activity for the whole family, thereby ensuring you are not neglecting your family while you practice fitness and good health. You do not need to exert yourself by signing up for a family marathon or a gruelling hike. A simple hour walk around the block with the family will suffice. You can even tag the dog along. We know that the role of a mom does not stop when the sun sets, especially if you have a baby to keep you awake throughout the night. When you get sufficient rest, you improve your health, as well as your mood and creativity. Adequate sleep allows you to reduce stress to enable you to lose weight. If you are worried about neglecting the kids while you are sleeping, you can take turns with your partner. After all the work you do for the kids every day, as well as the household, you deserve a break. There is nothing better for your health than getting away from the chaos, even if it is only for a few hours. Read a book in the garden or take the dog for a walk. Whatever your preference, make sure that you will not be disturbed. Even though you are a mom, it is okay to take a night off. You can schedule one night a month to go out with the girls to dance or a weekend at the spa. Getting away from the kids for a day or two can help to boost relationships. Absence does make the heart grow fonder, after all. A study showed that women who went out on monthly excursions with their girlfriends proved to be better mothers and wives. People will always tell you to stay positive as a motivation tool to keep you strong during the challenges. But, staying positive has a direct impact on your health. Negativity, usually, spills over into other areas of our lives that can have a devastating impact on our happiness, as it can cause stress. When you convert negative thoughts into positive, you feel jubilant and increase the possibility of having good health. One of the most significant ways to ensure that you stay healthy is to eat a proper diet. 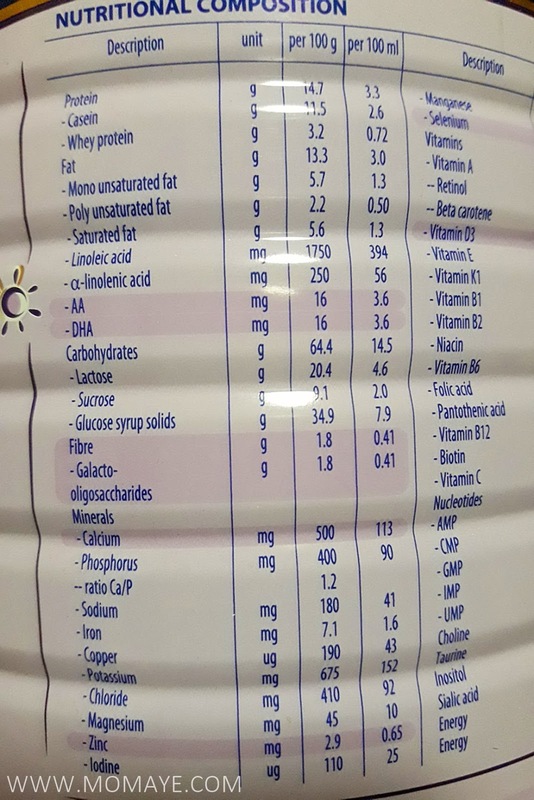 What are the foods that you should be eating? ● Fruits and vegetables are crucial. ● Instead of opting for white rice, try brown. ● You need to eat lean proteins such as fish, poultry and beans. 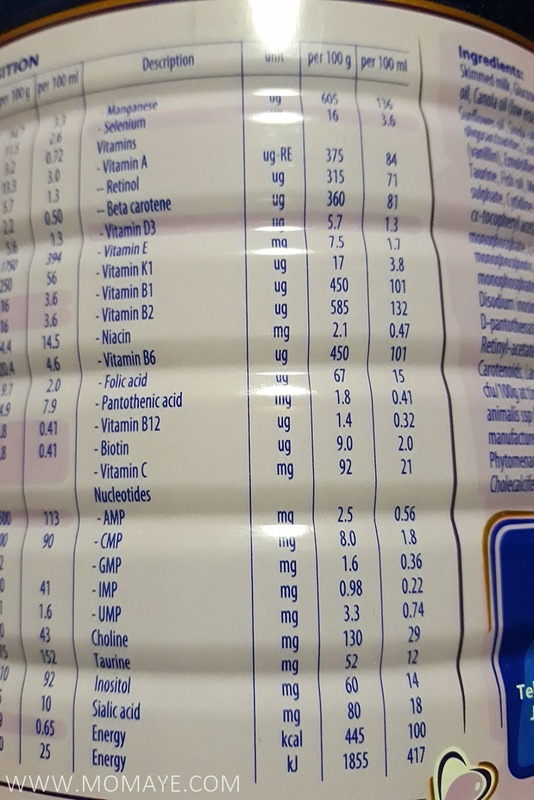 ● Reduce your intake of sugar, salt, processed foods and saturated fat. Breakfast is the most important meal of the day and should not be neglected, especially by busy moms. A cup of coffee does not constitute as a breakfast. Make sure you eat eggs, beans, mushrooms and avocado, as it will enable you to have the energy for the rest of the day and will promote good health. Yes, we know how easy it is to use the excuse of being so busy that you are unable to exercise. Anything that you value in life, you will make time for, and you should appreciate exercise since it promotes good health. You can schedule your exercise for when your kids are at school or early in the morning before they are awake. And, you do not have to go to the gym. A run around the block or pilates in your living room will suffice. 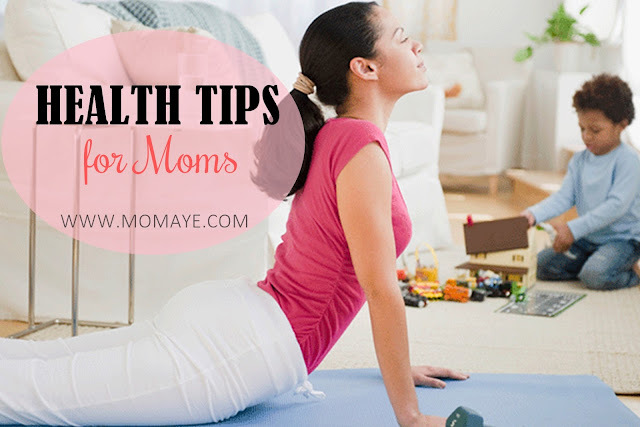 There you some health tips for a busy mom like me. 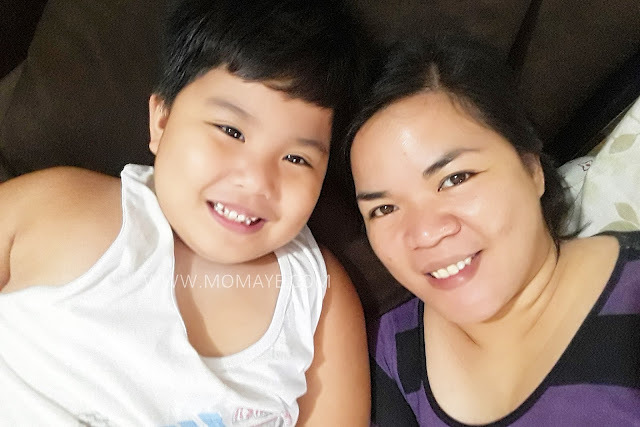 Always stay healthy mommies!